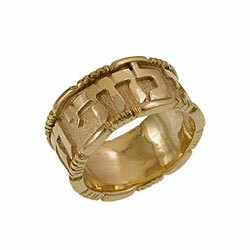 Beautiful 14K Gold Ring with special border design. High polished letters raised over high polished background You choose: size and phrase. Hand crafted and custom made.